Lots of Ospreys around. No surprises there. But I was surprised to see a White-tailed Eagle. I've never seen one in summer here before. It chased the Ospreys trying to steal fish. This all happened well out of camera range sadly. It was unsuccessful that time. Later I returned to the same spot and it was perched on some driftwood occasionally being dive-bombed by any passing Ospreys. I've seen videos of Bald Eagles snatching Osprey chicks from the nest, I suppose they are competitors when they live in the same habitat. 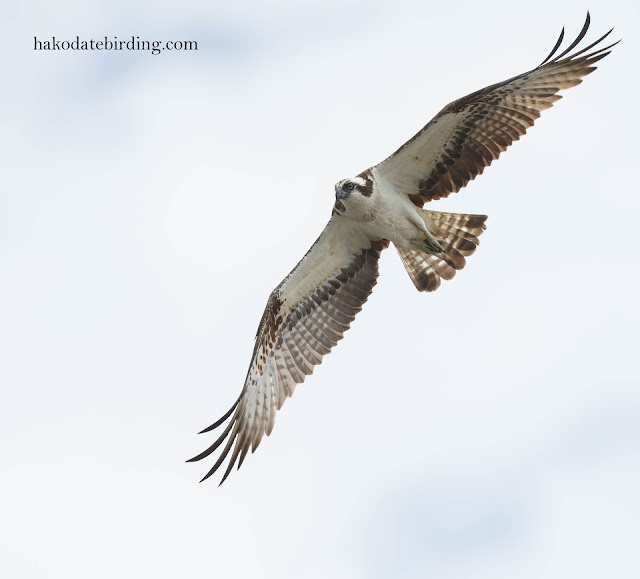 In south Hokkaido they rarely overlap: Ospreys generally arrive in late March after most of the eagles have gone and leave in October before the eagles return for the winter. 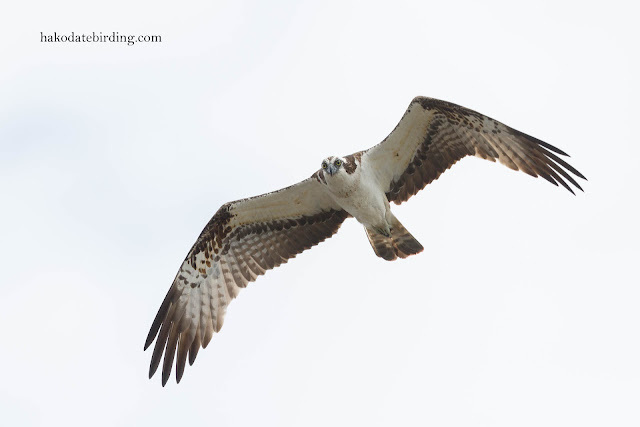 WTEagle and Osprey make a compelling "Dogfight double" - Lucky for the Ospreys they don't overlap more ! 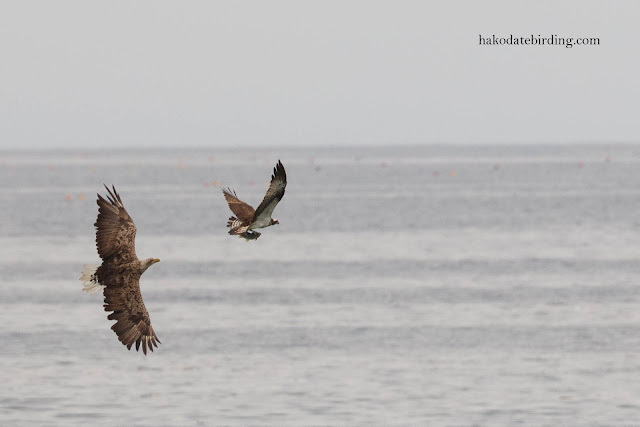 I wonder how many similar scenes are played out across the world where Ospreys and Sea Eagles occur together?